On Friday evening, Chef John Gray invited friends, foodies and members of the "Uncorked Club" to enjoy a special tasting of three wines from Mexico's prestigious Adobe Guadalupe Vineyards. This beautiful estate was established by Tru and Don Miller in 1998 on 80 acres of land in the Valle de Guadalupe, an area which boasts a climate and terrior similar to that of France's Rhone Valley and Bordeaux growing regions. After retiring from a successful banking career in the United States, Don decided to pursue his dream of planting his own vineyard and building his own wine estate. He and Tru settled on this beautiful parcel in the Baja, the heart of Mexico's wine producing region. 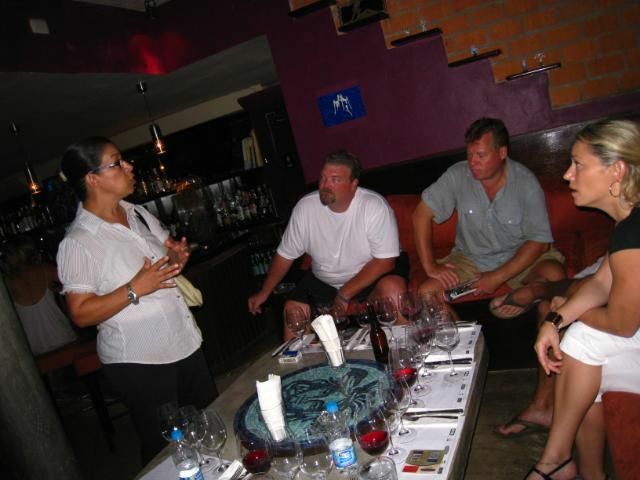 They enlisted the talents of passionate artisan winemaker Hugo Acosta and achieved their first harvest in 2000. 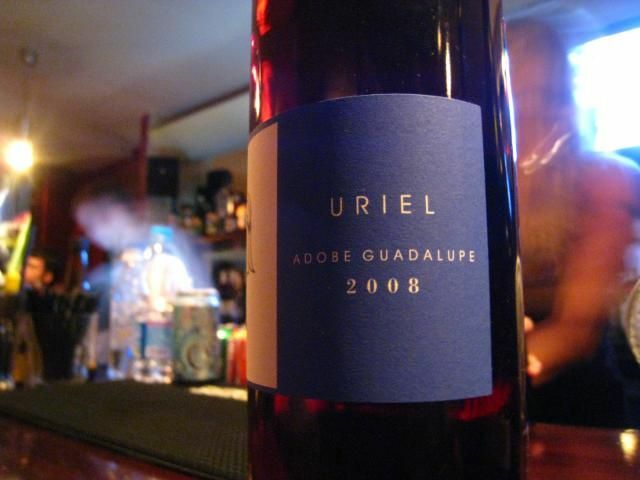 Today, Adobe Guadalupe is among a handful of boutique wine houses dedicated to producing world class wines in Mexico. This working vineyard also functions as an elegant bed and breakfast and has an equestrian center where Tru pursues her passion, breeding and selling rare Axteca horses. Tru Miller herself was on hand this evening to greet guests and talk about the wonderful wines from their vineyard. She is a charismatic and exciting woman and it was a pleasure to have the chance to speak with her about her history and about wine making in Mexico. Each of the wines crafted by Adobe Guadalupe is comprised of grapes all grown in their proprietary vineyard. The wine house is known for their unusual and ethereal blends, each a unique expression of the winemaker and the winery's vision. In keeping with this ethereal theme, each of the wines is named for an archangel. Local distributor representative Jacqueline Jiminez narrated our evening, giving the guests a thorough history of the wines, the varietals used and the aging process for each selection. 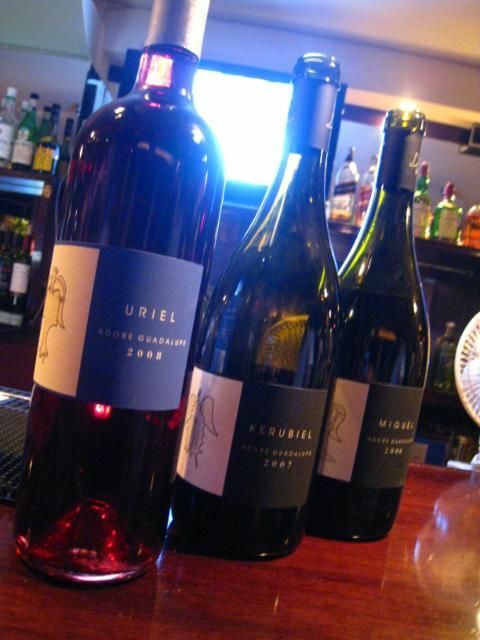 During the evening we had the opportunity to taste three wines: "Uriel" 2008, a claret styled wine, which is a blend of tempranillo, syrah, chenin blanc, zinfandel and moscatel. It was served chilled and paired with shrimp sauteed with chirasa chilies on a bed of spicy slaw. The wine is young and bright with notes of watermelon and strawberry. This is the perfect "picnic red", easy drinking and accessible. Second in line was "Miguel" 2006, a red blend of 70% tempranillo with 17% cabernet sauvignon and 8% grenache. This was served with thick meaty amberjack over potato puree and sauteed spinach. This fruit forward wine may have overpowered the fish had it not been finished with a rich pork sausage infused butter sauce. The predominant temperanillo was just tannic enough to cut the oiliness of the fish and butter. We finished with "Kerubiel" 2007. Crafted to resemble Chateauneuf du Pape, this is a blend of cinsault, syrah, mourvedre, grenache and viogner. We enjoyed this wine with John's famous spicy duck tacos wrapped in bib lettuce. The wine's peppery finish was the perfect compliment, emphasizing the chile rather than softening it. The Kerubiel is a big plummy red with hints of tobacco, leather and dark chocolate. I'd like to buy a few bottles and cellar them for awhile as I think a few more years will only serve to make this vintage a bit more accessible. 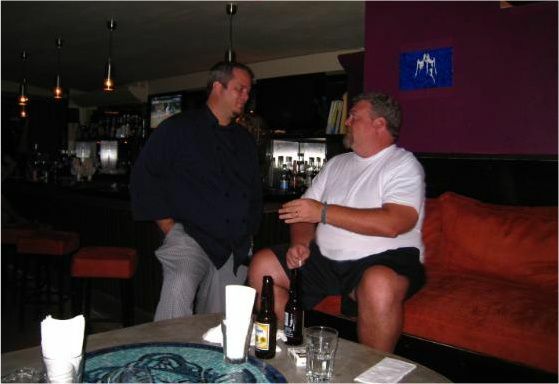 John and Rob discuss the finer points of Rob's new "man room". It was a great pleasure to taste these unusual wines and experience some of the cutting edge wine making that is going on right here in Mexico. With a production of just 6000 cases, I'm not sure wine lovers in Playa del Carmen will be seeing these wines in local grocery stores. I'm checking on the availability and will edit in the distribution details in when I have them. For those of you who may have previously written off Mexican wines, I strongly encourage you to ask for these and similar small production bottlings when you are travelling in Mexico. With unique, high quality wines such as these being introduced to consumers, I have a feeling that retailers and restaurants who have predominantly populated their shelves and wine lists with wines from Chile and Argentina will be paying closer attention to the boutique wine houses right here in Mexico. What a fun time. 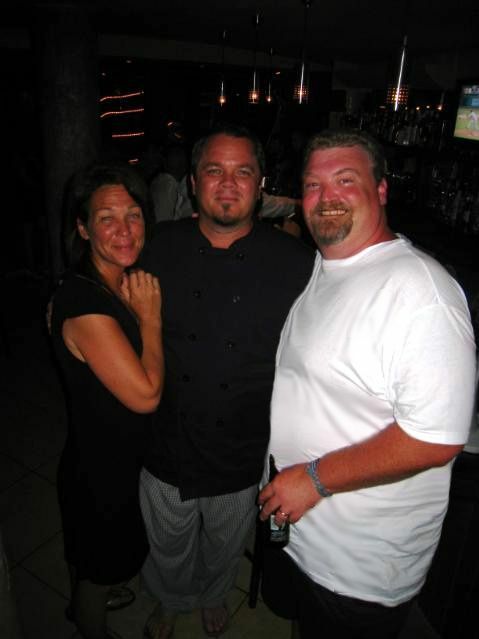 I cannot wait to head up to John Gray's the next time I am in Playa. The wine sounds amazing. He really is making a huge effort to get really good wines on his list. It's nice to have so many more options put in front of us to try instead of reaching for the old stand bys. It looks to me an eventful eventful evening and even better night. I think the party rocks that night.